A package put together by our Hi-Fi experts for great performance, this combines the qualities of Tannoy and Arcam pairing the XT 6F speakers with the SA20 stereo integrated amplifier. Earn 1639 loyalty points when you order this item. This speaker and amplifier combo pairs the Arcam A29 integrated amp with Tannoy Revolution XT 6F floorstanding speakers bringing together Arcam's simplistic purity and Tannoy's industry-leading manufacturing. The smaller of two prestigious floorstanding models in the Revolution XT range, the Revolution XT 6F is a compact loudspeaker that delivers a dynamic full-range performance. Its 150mm (6.00”) Omnimagnet Dual Concentric driver is augmented with a matching 150mm (6.00”) bass driver to deliver LF extension down to below 40Hz. 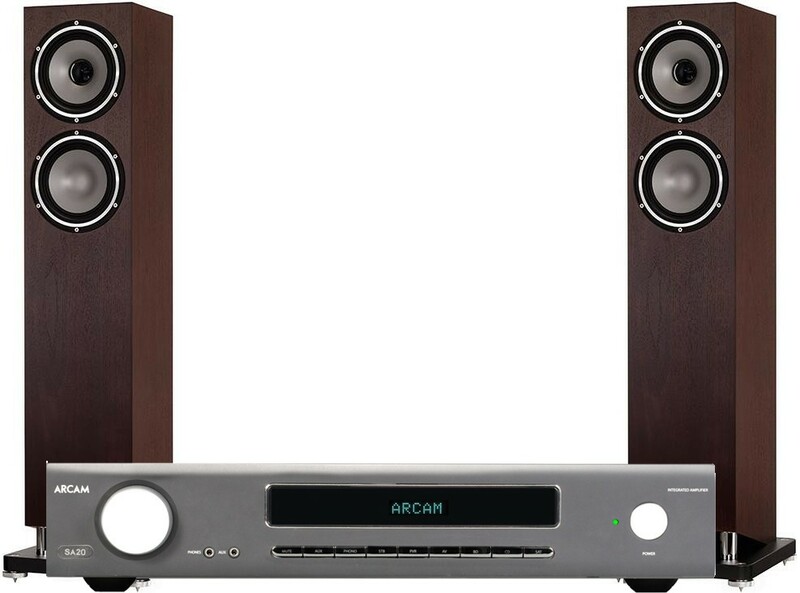 Arcam SA20 integrated amplifier builds on the performance level of the A29, with proprietary Class G technology. The SA20 is rated at 80wpc into 8 ohms (both channels driven). It delivers just under 20wpc in pure Class A, while allowing for huge extra power reserves for the most demanding of loudspeakers. 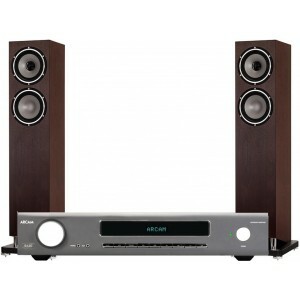 For more information on the speakers, please visit our main Tannoy XT 6F page. For more information on the integrated amp, please visit our main Arcam SA20 page.